You’d think the Grand Canyon — our crown jewel national park — would be protected from uranium contamination. Think again. Several uranium mines and hundreds more uranium claims outside park boundaries threaten to permanently pollute the most remarkable gorge in the world. It's threatening a community of indigenous people. There's a long legacy of contamination from uranium mining across the Colorado Plateau. Each year, millions of people travel from around the world to admire the Grand Canyon — its sandstones, shales, and limestones hinting at ancient lava flows, shallow seas, and desert dunes that once covered the region. But the geological wonder also holds deposits of minerals that have enticed miners for more than a century. Some places are too precious to mine. The Grand Canyon is one of them. Uranium frenzy first struck in the 1950s, and prospectors flocked to the Colorado Plateau in search of the yellow dirt. They mined millions of tons of ore from tribal and public lands during the atomic era, leaving behind a toxic legacy that continues to pollute the land, water, and air today. A market spike in the mid-2000s renewed mining interest in the region. By the end of the decade, thousands of uranium claims peppered public lands surrounding Grand Canyon National Park. In 2012, the secretary of the interior put a temporary stop to uranium exploration by issuing a 20-year ban on new uranium mines on one million acres of public lands surrounding the Grand Canyon. 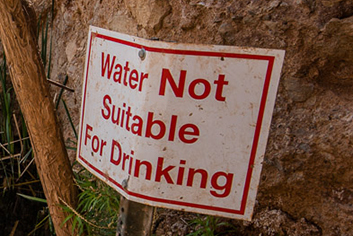 The ban gives scientists time to study the risks and potential impacts on scarce groundwater sources and communities of plants and animals. There are still 800 active mining claims on national forest and other public lands around the Grand Canyon, but legislation is working its way through Congress to permanently stop new uranium mining around the park. Ask your members in Congress to co-sponsor the bill. 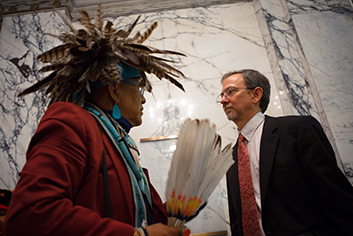 When necessary, we go to court to stop unsafe uranium mining around the Grand Canyon. We are currently involved in two cases. Background: Canyon Mine is a uranium mine located less than 10 miles from the South Rim. The Forest Service gave the mine a green light to operate in the mid-1980s. But before miners drilled deep enough to reach the ore, a sharp drop in uranium prices in the 1990s prompted the company to close its gates. When uranium prices rebounded again 20 years later, the Forest Service decided that the mine was exempt from the 2012 ban on mining around the Grand Canyon and let the company resume operations without updating its 1986 plan of operations or the government’s analysis of how mining would affect the area. 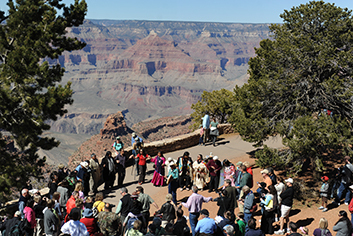 The Grand Canyon Trust, along with the Havasupai Tribe and others, sued the U.S. Forest Service in 2013, arguing that this decision ran afoul of federal law. Background: When the National Mining Association and others sued the government over the 20-year ban on new uranium mines around the Grand Canyon, we came to the government's defense. The Trust intervened in the lawsuit, along with several other environmental groups and the Havasupai Tribe. We are doing everything we can to keep the ban in place and protect the Grand Canyon from the toxic uranium legacy that lingers across much of the Colorado Plateau. We work with conservation groups, Native American tribes, local governments, hunters and anglers, recreationalists, and others to highlight the widespread support for keeping uranium mining out of the Grand Canyon. The General Mining Law of 1872 gives prospectors incentives to mine the Grand Canyon region. The General Mining Law of 1872 opened up the West to development and set the price of land claims between $2.50 and $5.00 an acre, a price that has not changed to this day. Under this law, companies mining uranium and other metals on federal lands do not have to pay royalties like many other industries (including oil and gas, timber, and coal-mining). Promising access to public lands for private profit, this law paved the way for many prospectors interested in making small fortunes off the Grand Canyon, including Dan “Pops” Hogan. Hogan was part of the first group of prospectors to come to the Grand Canyon from Flagstaff, Arizona. He registered the “Orphan Lode” or “Orphan Mine” in 1893. He originally claimed the mine for copper but eventually capitalized on the close proximity to the canyon and built a trading post and saloon near the rim. In 1946, he sold the mine, and in 1951, Harry C. Granger discovered uranium in it, making the Orphan Mine the first uranium mine in Grand Canyon National Park. The first lode of uranium was extracted and transported from the Orphan Mine in April, 1956, and the mine continued to extract ore for 13 years. 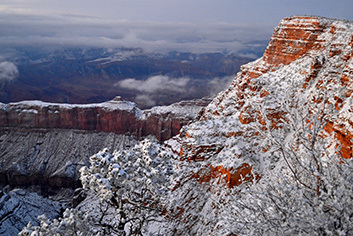 Congress establishes Grand Canyon National Park nearly 50 years after Yellowstone. First declared a national monument in January 1908 by Teddy Roosevelt, the Grand Canyon waited another 11 years before receiving national park status in 1919. Industry had a heavy hand in politics, and preservation was not its concern. Among mineral and timber companies, mining interests found the possible classification of the Grand Canyon as a national park frightening. National park status would limit how much access the mining industry had to minerals within and around the canyon. For decades, these interests used their clout to block reclassification of the canyon. It was only through an act of Congress that the Grand Canyon was finally protected. But national park status alone doesn’t equal complete protection. Uranium mines outside the park pose threats to the canyon long after closure. 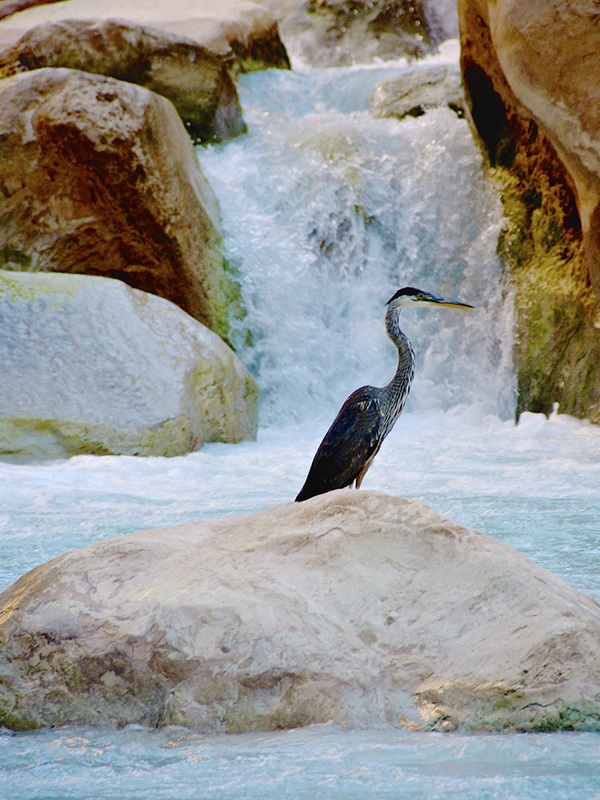 Radioactive dust, topsoil, and toxic leaks into water sources all pose health risks not only to tourists and Native American populations, but also to the canyon’s endangered condors and other wildlife. When the Park Service finally acquired the previously privately-owned Orphan Mine in 1987, they were left to foot the bill for its cleanup. Grand Canyon National Park — funded by American taxpayers — has spent $15 million so far on the first phase of the cleanup, removing abandoned mine equipment and surface structures. The lower mine area has yet to be addressed. Canyon Mine opens, but not for long. Low uranium prices cause mines to go on standby. In September 1986, the forest supervisor for the Kaibab National Forest approved Canyon Mine, a uranium mine located six miles south of Tusayan, Arizona. But before Canyon Mine could drill deep enough to reach ore, a sharp drop in uranium prices in the 1990s led to a temporary decline in the industry. 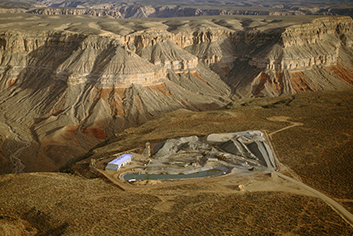 Mines around the Grand Canyon, including Kanab North, Pinenut, Arizona One, and even the recently opened Canyon Mine, chose to go on standby (meaning operations were put on hold), only to reopen when demand for uranium increased in the 2000s. Multiple factors contributed to the uranium market downturn, some of which happened much earlier. In 1991, the Strategic Arms Reduction Treaty between the U.S. and Russia (known as START 1) provided additional reason for uranium prices to fall. The plutonium from disarmed nuclear warheads was repurposed into pellets for nuclear reactors, thus making the cost of extracting uranium for nuclear power from the ground prohibitively expensive. Canyon Mine remained on standby. Two decades later, demand for uranium rose as nuclear power increased and more mines were reopened or created. 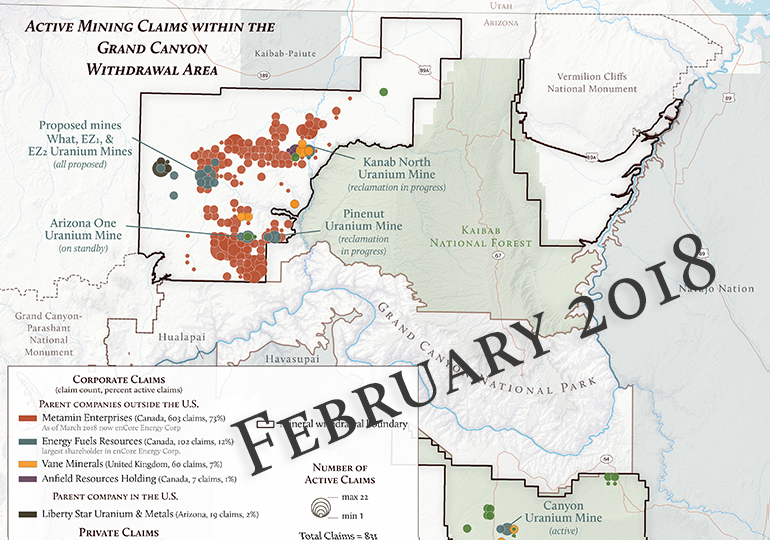 As uranium exploration explodes, so do uranium claims near the Grand Canyon. The new century ushered in a domestic uranium boom as investments in uranium exploration and mining jumped sixfold between 2004 and 2008. This jump affected many Western states, but particularly the Grand Canyon area. Some claim that the emergence of safer nuclear power plants and projected growth of nuclear programs in Asia and India encouraged the boom. Others cite the flooding of Canada’s Cigar Lake mine, which has the largest high grade uranium deposit in the world, as the cause of the bubble. Whatever the cause, the desire for more uranium led to a huge surge of uranium claims near the Grand Canyon. A study by the Environmental Working Group shows that new mining claims within five miles of Grand Canyon National Park increased from 815 to 1,130, almost a 30 percent increase from July 2007 to January 2008. Most, if not all, of these claims were for uranium. The numbers kept climbing. What is a mining claim? A mining claim is a person or company’s assertion of the exclusive privilege to mine a parcel of public land. 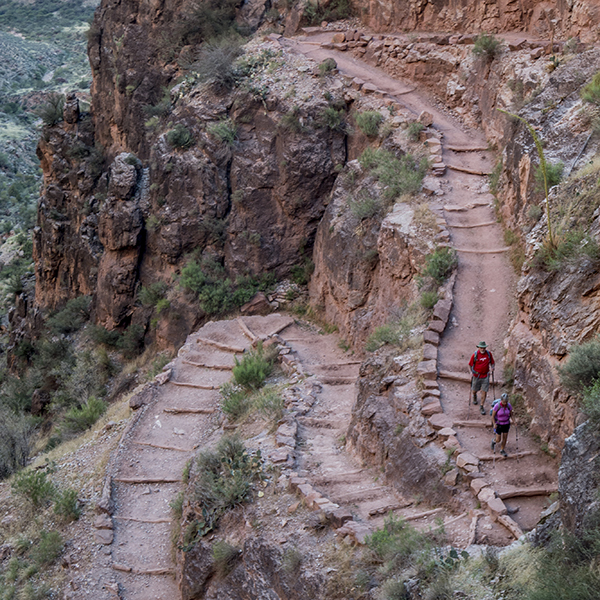 Each mining claim presents a threat to the Grand Canyon, its people, and its integrity. The House Natural Resources Committee passes a resolution to block uranium mining near the Grand Canyon. On June 25, 2008, Arizona Rep. Raúl Grijalva led the House Natural Resources Committee to pass a resolution insisting that then Secretary of the Interior Dirk Kempthorne ban new mining claims on one million acres adjacent to Grand Canyon National Park. 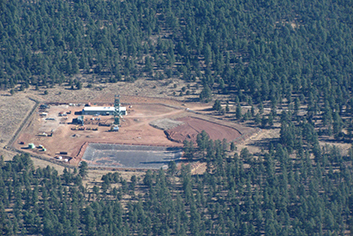 Between January 2003 and January 2008, claims within five miles of Grand Canyon National Park had multiplied from 10 to more than 1,000, most of which were for uranium mines. The committee received letters from governors, conservation groups, and others asking for uranium mining to be stopped due to its potentially disastrous effects on drinking water. The Colorado River runs through the canyon, providing drinking water for 26 million people across multiple states. The Bush administration challenged this resolution by allowing Neutron Energy to file 20 new claims south of the Grand Canyon. 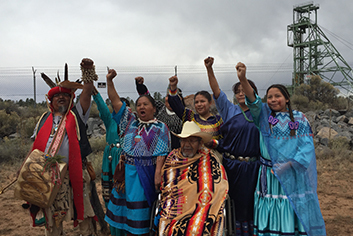 Havasupai Tribe protests uranium mining near the Grand Canyon at Red Butte. 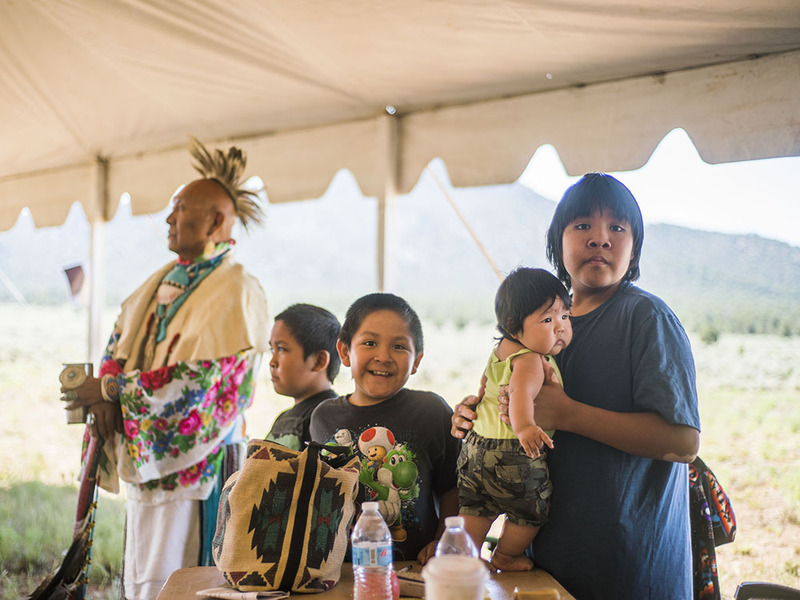 The Havasupai Tribe and fellow supporters gathered at the foot of Red Butte, “the birthplace of the Havasupai,” to protest uranium mining near the Grand Canyon. 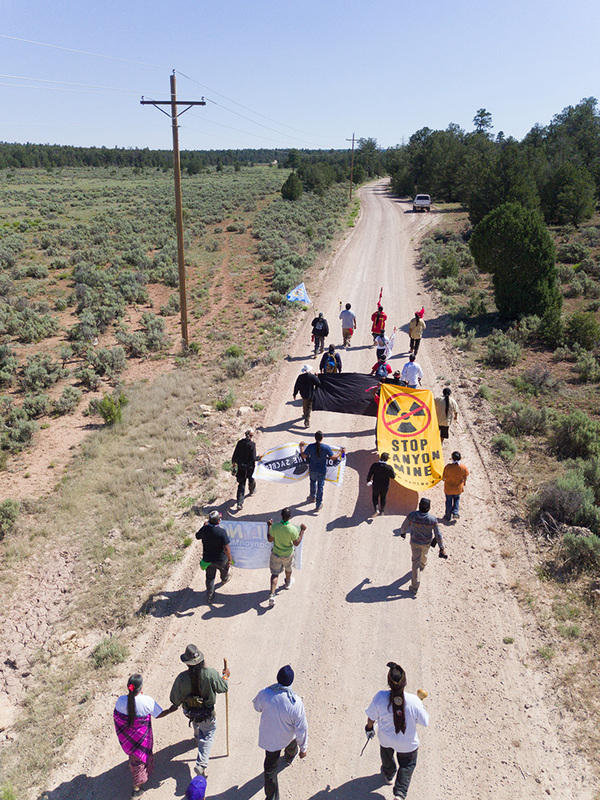 The protest began when Denison Mining Co. threatened to reopen Canyon Mine (four miles from Red Butte) and two other mines near the North Rim. 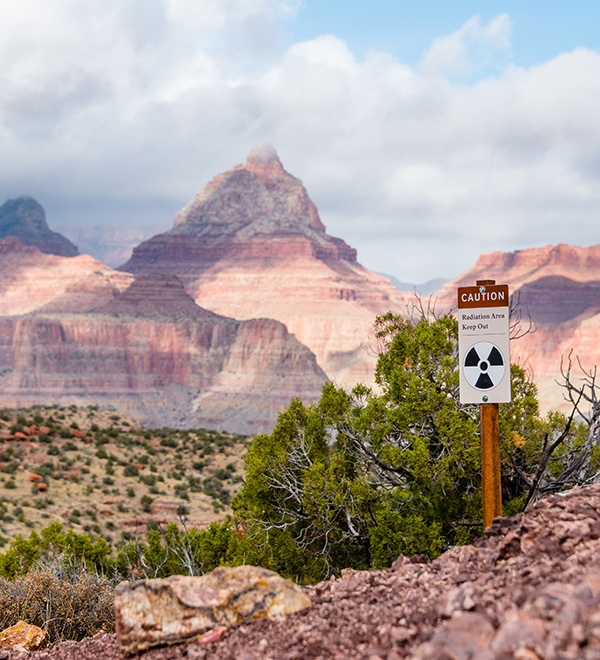 The Havasupai joined the Grand Canyon Trust, Sierra Club, and Center for Biological Diversity to oppose uranium mines that could contaminate the land, air, and water of the sacred Grand Canyon area. 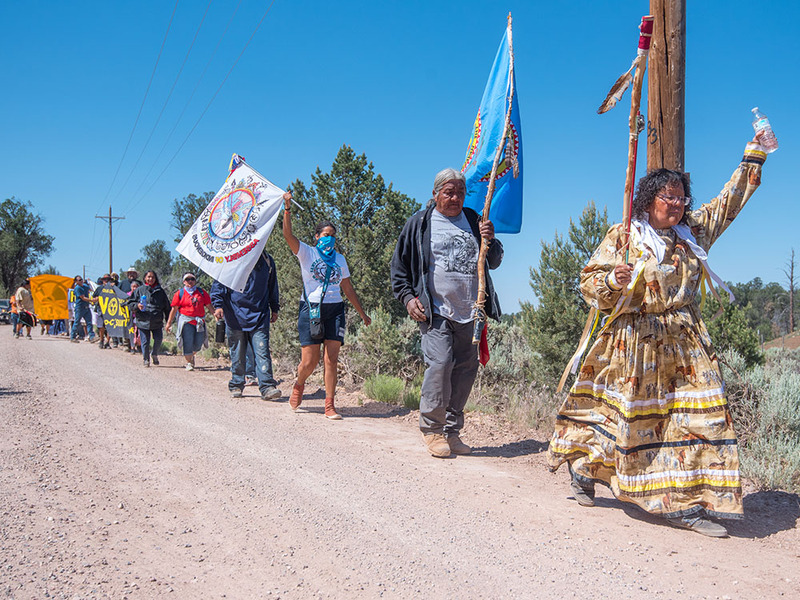 Even before the protest, communities began speaking out against the reopening of old and the creation of new uranium mines. In February 2008, the Coconino County Board of Supervisors passed a resolution opposing uranium mining in Grand Canyon watersheds within Coconino County, the county that includes Canyon Mine. 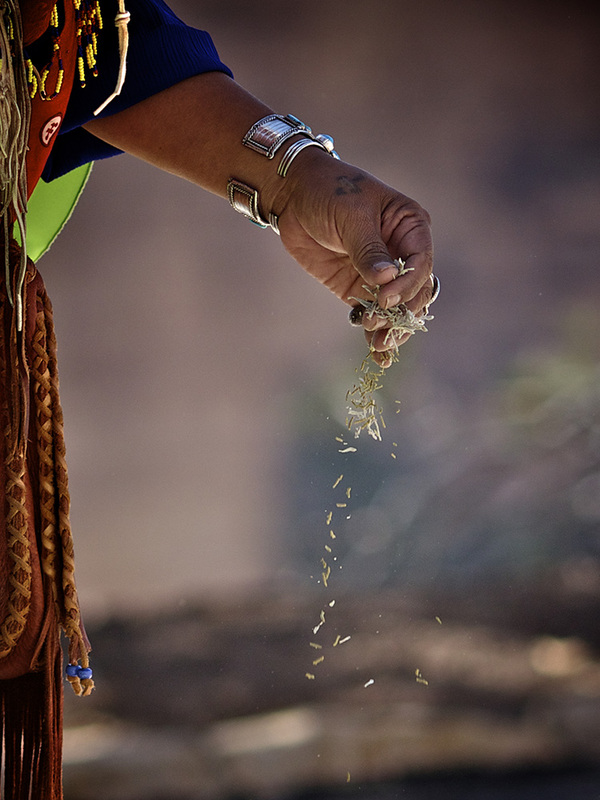 In 2009, the National Register of Historic Places determined that Red Butte, including the Canyon Mine location, was eligible for Traditional Cultural Property status, further demonstrating its value to the Havasupai community. Traditional Cultural Property sites require that any changes to the land go through a review process, which is meant to further protect the area. Red Butte was officially listed as a Traditional Cultural Property by the Forest Service in 2010; however, even that designation didn’t stop Canyon Mine from resuming operations in 2015. 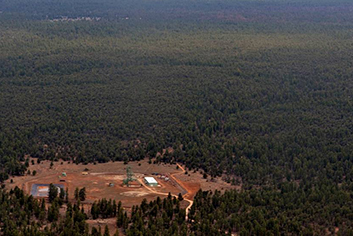 USGS finds radioactive dust and contaminated water near Grand Canyon uranium mines. The United States Geological Survey (USGS) found radioactive dust several hundred feet from the Kanab North Mine site. The dust contained more than 10 times the background concentration for uranium. Likewise, they found that 15 springs and five wells near uranium mines in the Grand Canyon’s watersheds have dissolved uranium concentrations that exceed safe drinking water standards. Science and knowledge about uranium has come a long way since Marie Curie coined the term “radioactivity” in the early 1900s. Uranium was originally feared for its radioactive effect seen after nuclear fallout: think Nagasaki and Hiroshima. Oftentimes, uranium’s effect on the body was not apparent until years after initial exposure. But as time wore on, scientists discovered that uranium can also affect humans through radon gas and fine particle nuclear dust that can cause lung cancer. In addition, uranium can become soluble in water. Radionuclides, or radioactive minerals in uranium-tainted water, gather in the kidneys, possibly causing kidney failure or cancer. In 1995, David Kreamer, a hydrologist and geoscience professor at the University of Nevada, Las Vegas, and his research group were among the first to measure uranium concentrations in the Grand Canyon’s various springs. His team found elevated levels of uranium in Horn Creek near the Orphan Mine, which had stopped extracting uranium in 1969, over 25 years earlier. Kreamer, among others, feared uranium mining’s effect on water sources for many reasons. Runoff from mining operations can enter the canyon’s springs system, and a majority of springs in and near the canyon discharge or empty at the Redwall-Muav formation. 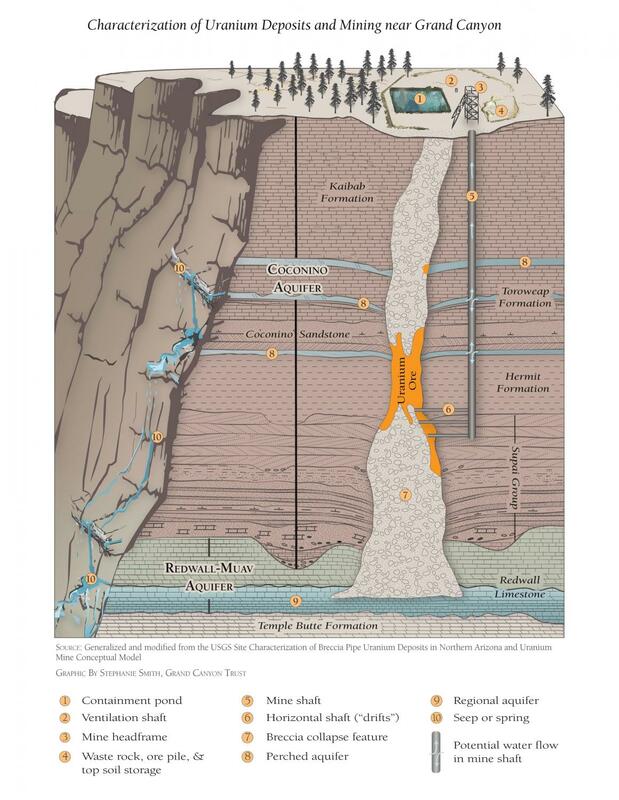 Scientists and geologists have found compelling evidence indicating that the canyon’s springs are connected to the aquifers surrounding the canyon. 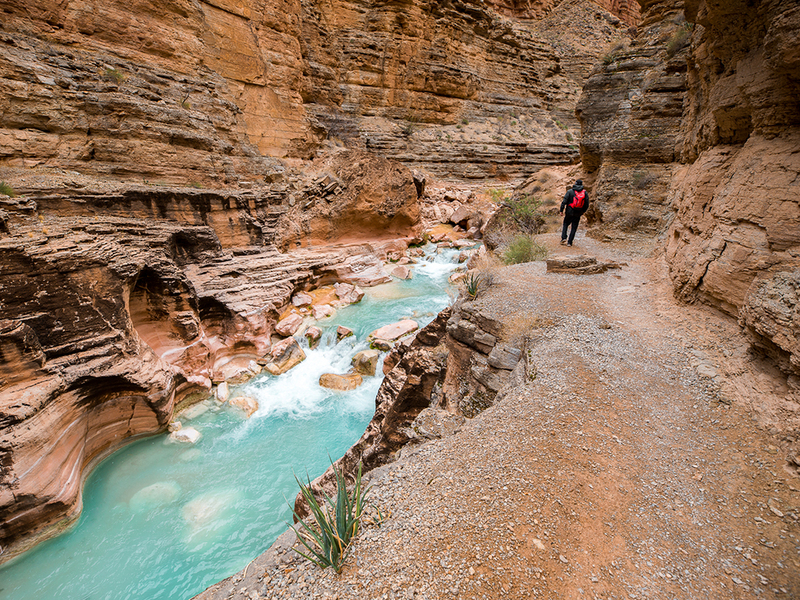 This connection could spell disaster for the Havasupai people, whose sole source of drinking water comes from the Muav aquifer and impact millions of people who rely on the Colorado River for clean drinking water. Secretary of the Interior Ken Salazar issues uranium mining withdrawal. On January 9, 2012, Secretary of the Interior Ken Salazar announced his decision to protect one million acres of federal land surrounding the Grand Canyon from new uranium and hardrock mining projects for 20 years by withdrawing the area from open entry under the federal land laws. However, at the time of the withdrawal, around 3,200 mining claims already existed within the withdrawal area. The Bureau of Land Management estimated that up to 11 uranium mines could still be developed based on the existing claims, in addition to the four mines that had previously been approved. This withdrawal did not include mines that had been closed or placed on standby at the time of the withdrawal. 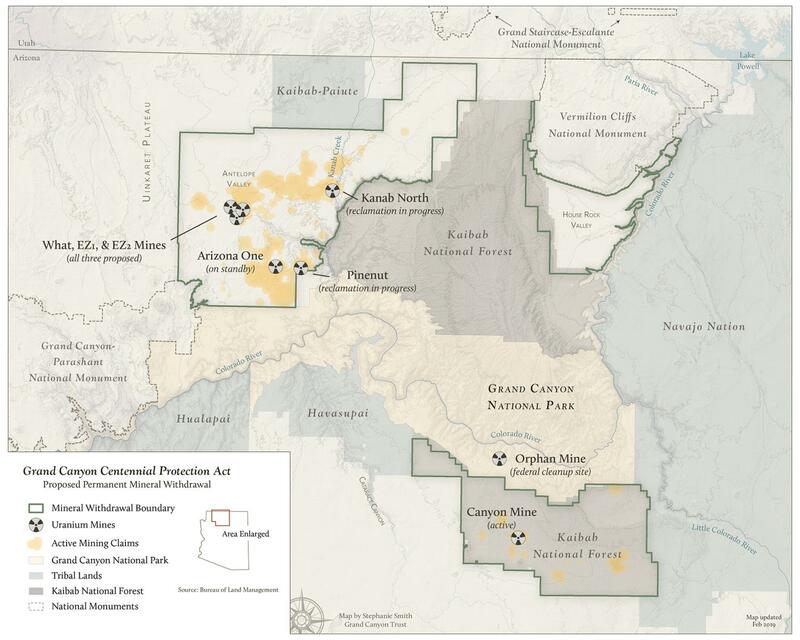 U.S. District Court in Arizona upholds uranium withdrawal. After Salazar forbade uranium miners from staking new claims around the Grand Canyon, some miners, mining industry trade organizations, and a coalition of local governments sued. They argued that the withdrawal power Salazar used was unconstitutional, that the area withdrawn was too large, and that the 700-page environmental impact statement analyzing the withdrawal was inadequate. The Havasupai Tribe, Grand Canyon Trust, Sierra Club, Center for Biological Diversity, and National Parks Conservation Association intervened to help defend Secretary Salazar’s decision. On September 30, 2014, Arizona District Court Judge David Campbell ruled against the mining industry. 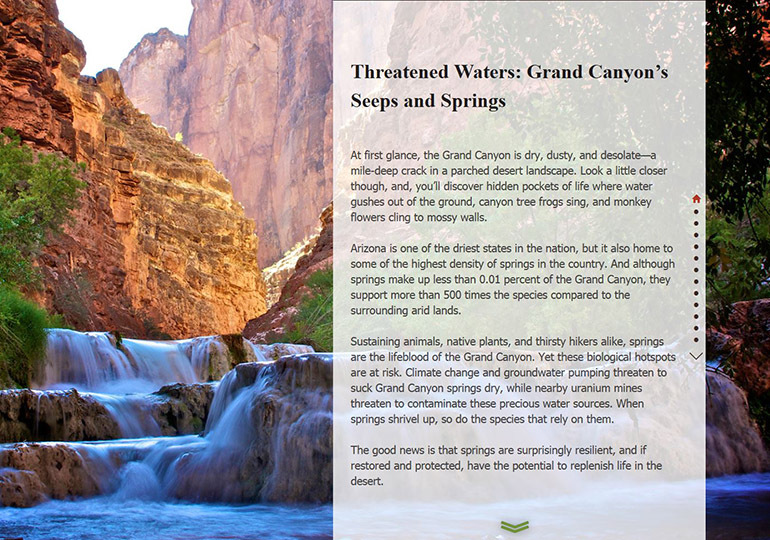 The withdrawal helps protect the water and life in and near Grand Canyon National Park. Without this withdrawal, Interior estimated that 19 new uranium mines and 700 uranium exploration projects would be developed, leading to the consumption of 316 million gallons of water for mining operations. In addition, pollution from potential mining projects could have contaminated Grand Canyon springs that flow into the Colorado River. In 2015, American Rivers named the Colorado America’s most endangered river, citing radioactive pollution as one of the main factors in the designation. Over 40 million people rely on the Colorado River for drinking water, recreation, and agricultural uses, making its preservation more crucial than ever. Federal District Court rules in favor of Canyon Mine reopening. Canyon Mine originally opened in 1986 and shut down in 1991. In June of 2012, the Kaibab National Forest stated that no amendment to the original plan of operations was necessary before reopening. Canyon Mine reopened in April 2013 after mineral rights were validated according to the 1872 Mining Law. 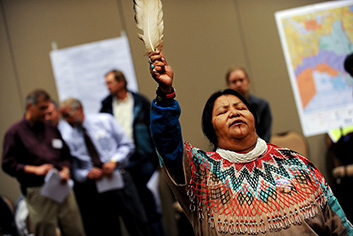 Because of the cultural significance of Red Butte, as well as the lack of environmental precautions, the Havasupai Tribe, Grand Canyon Trust, and others filed a lawsuit against the U.S. Forest Service in 2013, asking for a new environmental impact statement evaluating the mine and updated best-management practices. These suggested and widely accepted practices take a precautionary approach, trying to prevent pollution to the surrounding area as much as possible. The mine went on standby again in October 2013 as a consequence of the lawsuit. It resumed operations in September 2015 after receiving a favorable ruling from a District Court in April of that year. 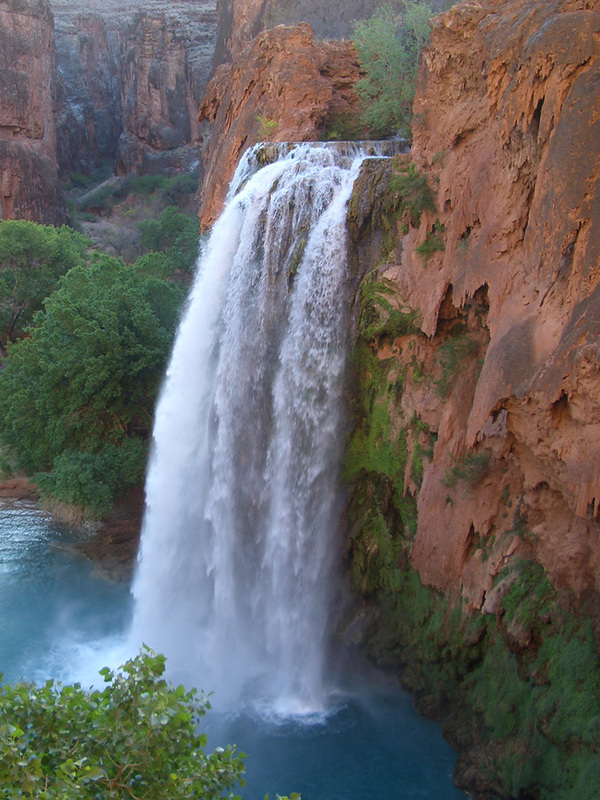 The Havasupai Tribe appealed the ruling to the 9th Circuit Court of Appeals with the Grand Canyon Trust, Sierra Club, and Center for Biological Diversity following suit. The court heard oral arguments on Dec. 15, 2016. The final ruling is not expected until June 2017 at the earliest. In the meantime, drilling has started, but the company has not told the public when it will start hauling ore out of the ground. Estimates from foremen and other sources say the mine could start hauling ore by summer 2017. Appeals court hears two cases related to Canyon Mine and the uranium withdrawal. On December 15, 2016, the Ninth Circuit Court of Appeals heard two cases that impact the future of uranium mining in the Grand Canyon region. 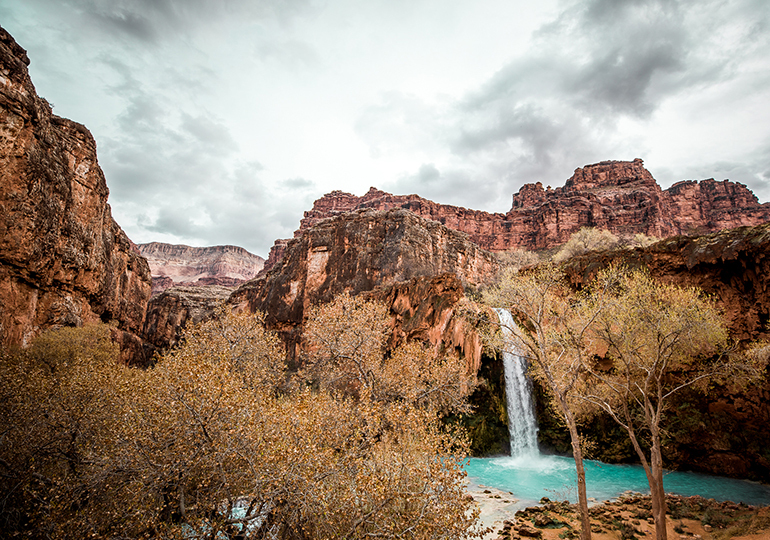 Alongside the Havasupai Tribe, the Grand Canyon Trust argued against the Forest Service for allowing Canyon Mine to reopen without conducting a new environmental review or consulting the Havasupai Tribe. A panel of three judges heard the case in San Francisco. 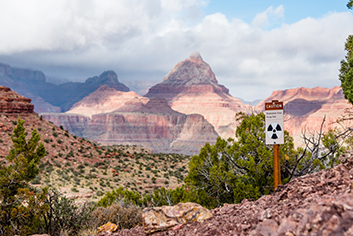 The same day and in front of the same judges, the National Mining Association and others appealed a lower court’s 2014 decision to uphold the 20-year uranium ban on new claims spanning over one million acres around the Grand Canyon. We're currently waiting for the court to rule on both cases. 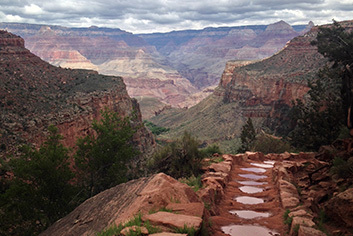 The Forest Service takes first step to reopen Grand Canyon to uranium mining. The U.S. Forest Service published its final report in response to that executive order, singling out 15 actions to target for revision. Among them, Public Land Order 7787, the 2012 Department of the Interior order that temporarily banned new uranium mines on over one million acres of public and national forest lands around Grand Canyon National Park for a period of 20 years. What changes the Forest Service has in mind remain unclear. It could mean shrinking the duration of the ban, set to expire in 2032, or reducing the acreage included in the ban, or both. Appeals court upholds uranium ban but rejects a challenge to Canyon Mine. Almost a year after hearing oral arguments, the 9th Circuit Court of Appeals issued a ruling upholding the 20-year ban on new uranium mining claims across 1 million acres of public lands adjacent to the Grand Canyon. Mining industry trade groups had appealed an earlier U.S. District Court decision in December 2016. The 9th Circuit decision ruled that the ban, adopted in 2012, complies with the Constitution and federal environmental laws, and that the protected area was not too large, as plaintiff mining companies had argued. Unfortunately the court also rejected a challenge to the Canyon Mine, a uranium mine located on the Kaibab National Forest six miles south of Grand Canyon National Park. The court’s decision allows Energy Fuels Inc. to mine without initiating or completing formal tribal consultations and without updating an obsolete federal environmental review dating to 1986. 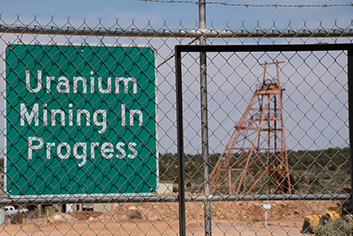 The uranium mining industry asks the Supreme Court to review the 20-year uranium ban. 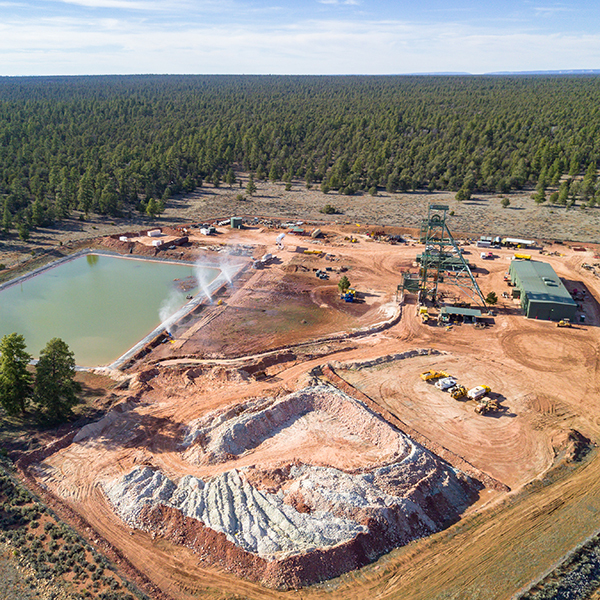 Mining industry trade groups petitioned the U.S. Supreme Court to to review the Interior Department’s 20-year ban on new uranium mining claims on 1 million acres of public land adjacent to the Grand Canyon. The requests from the American Exploration and Mining Association and the National Mining Association come in response to the 9th U.S. Circuit Court of Appeals decision last December, which upheld the Grand Canyon mineral withdrawal. Friday’s petitions to the Supreme Court argue that the court should strike down the Secretary of Interior’s power under the Federal Land Policy and Management Act to prevent hardrock mining in areas larger than 5,000 acres. This is an argument that the three-judge panel of the 9th Circuit and U.S. District Court have already rejected. The Supreme Court declines to hear nearly all the petitions it receives, so there’s a good chance the court won’t take this appeal. 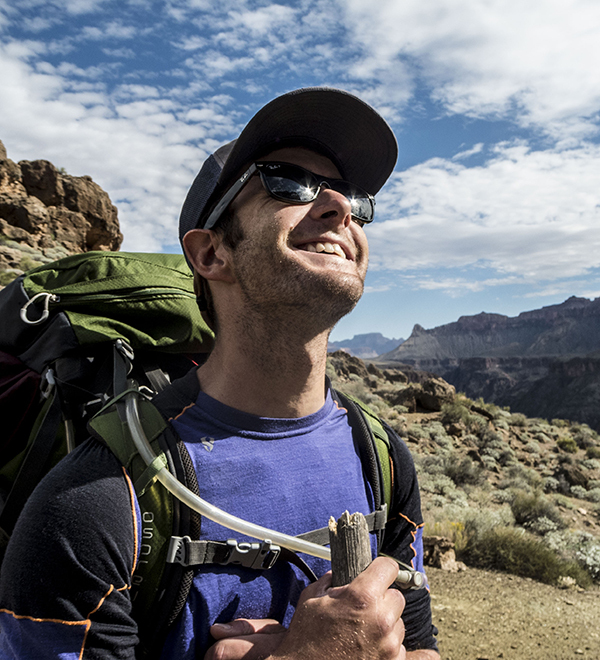 If the Supreme Court does take the case, the Grand Canyon Trust will defend the mining ban alongside our allies and the Department of the Interior, the defendant in the case. This should be industry’s last chance to get the ban overturned in the courts. 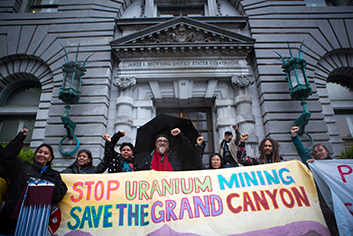 Why Stop uranium mining around the Grand Canyon? Despite what industry claims, uranium mining is not a significant economic driver in the region. It’s the canyons, forests, and mountains — not uranium mines — that draw millions of visitors and their pocketbooks to the region each year. The owners of Canyon Mine estimate they will employ 60 people at peak operation and run out of ore to mine in 10 years. If the current ban was not in place and market prices were favorable, the mining industry could only support about 600 temporary jobs in northern Arizona. And the return to the government is far lower than it could be, since uranium companies pay no federal royalties and minimal fees to maintain their claims on federal lands. Groundwater flow in the canyon is a bit of a mystery. Where does it go? Where does it emerge? How long does it take to get there? The Grand Canyon is a landscape of fractures, faults, and sinkholes. Before scientists can determine the effects of uranium mining on aquifers, springs, and the Colorado River, they need to better understand what's happening underground. But the current administration is strangling the science budget. 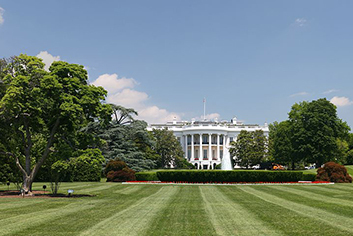 President Trump's proposed 2019 budget eliminates funding for the U.S. Geological Survey's studies on the topic.